The B195 Neo 8" underseat subwoofer is the universal solution for all BMW models. With the slightly larger B150 USB underseat subwoofer fitting in all models from configuration "HiFi" upwards, the new B195 Neo fits in all BMW insertion slots due to its slightly smaller dimensions. So the B195 Neo can be seen as the ideal solution for configuration "Standard" upwards. 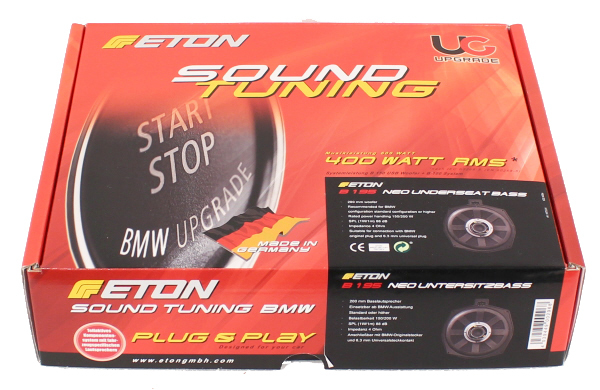 Because of the neodyme magnet and premium processing this subwoofer turns any BMW into a completely new car regarding sound performance.